A great book for a great cause! My review can be found here. 'The Lightning Luminary' and 'The Midnight Sea' look sooo good! And GoT is something I feel like I should read because I'm a fantasy fan but I feel like maybe I need a year off, or something? Are you enjoying it? Thanks for sharing :) I hope you have a great next week! I've posted my review on the Lightning Luminary since you left this comment. It was a good book. 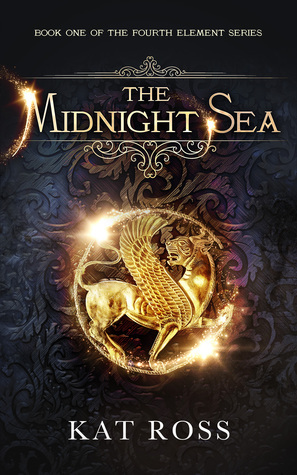 I'm currently reading The Midnight Sea and am LOVING it. I watched a few seasons of The Game of Thrones before delving into the books. So I had an idea of what to expect. I am enjoying the books. The reason I started them was because my husband had read them and told me there was so much more to the stories than was in the show. I hope your reading week is going well. I don't read this genre, but I hope you are enjoying your books and reading week. I've managed to avoid the Martin books although I'm a big SF reader; I'm waiting to see how long the series gets. Looks like a good week for reading. I can definitely see the waiting to read the series - especially since he's taken a long hiatus in publishing the next book. I'm enjoying it. But it's my paperback book I'm reading before going to bed. Here lately I haven't been doing too much reading before going to bed.